We interviewed eight University of Toronto (U of T) instructors who have offered MOOCs on Coursera or EdX between 2012 and 2014 to understand their motivation for MOOC instruction, their experience developing and teaching MOOCs, and their perceptions of the implications of MOOC instruction on their teaching and research practices. Through inductive analysis, we gleaned common motivations for MOOC development, including expanding public access to high quality learning resources, showcasing U of T teaching practices, and attempting to engage MOOC learners in application of concepts learned, even in the face of constraints that may inhibit active learning in MOOC contexts. MOOC design and delivery was a team effort with ample emphasis on planning and clarity. Instructors valued U of T instructionalsupport in promoting systematic MOOC design and facilitating technical issues related to MOOC platforms. The evolution of MOOC support at U of T grew from a focus on addressing technical issues, to instructional design of MOOCs driven, first, by desired learning outcomes. Findings include changes in teaching practices of the MOOC instructors as they revised pedagogical practices in their credit courses by increasing opportunities for active learning and using MOOC resources to subsequently flip their classrooms. This study addresses the paucity of research on faculty experiences with developing MOOCs, which can subsequently inform the design of new forms of MOOC-likeinitiatives to increase public access to high quality learning resources, including those available through U of T.
Najafi, H., Rolheiser, C., Harrison, L. & Hklev, S. (2015). University of Toronto instructors’ experiences with developing MOOCs. 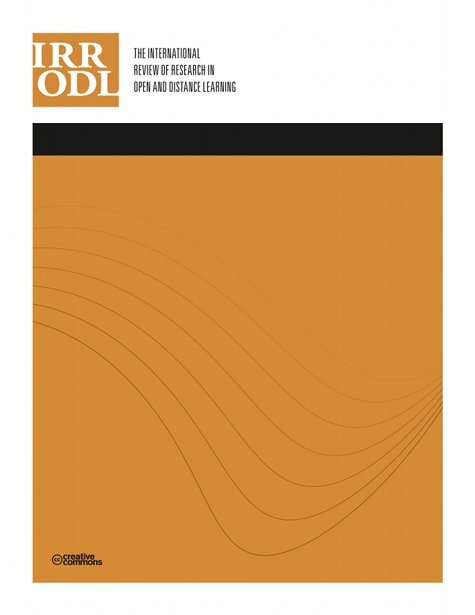 The International Review of Research in Open and Distributed Learning, 16 (3),. Athabasca University Press. Retrieved April 19, 2019 from https://www.learntechlib.org/p/161843/. Alario-Hoyos, C., Pérez-Sanagustín, M., Cormier, D., & Kloos, C.D. (2014). Proposal for a conceptual framework for educators to describe and design MOOCs. Journal of Universal Computer Science, 20(1), 6–23. Bess, J.L. (2000). Teaching alone, teaching together: Transforming the structure of teams for teaching. San Francisco: Jossey-Bass. Chen, B., Håklev, S., Harrison, L., Najafi, H., & Rolheiser, C. (2015). How do MOOC learners’ intentions relate to their behaviors and overall outcomes? Poster presented at the American Educational Research Association annual conference, Chicago, IL. Eisenberg, M. & Fischer, G. (2014). MOOCs: A perspective from the learning sciences. In J.L. Polman et al. (Eds. ), Learning and Becoming in Practice: 11th International Conference of the Learning Sciences 2014, Boulder, pp. 190-197. Gooding, I., Klaas, B., Yager, J.D., & Kanchanaraksa, S. (2013). Massive open online courses in public health. Frontiers in Public Health, 1, 59. Håklev, S. (2011). The Chinese national top level courses project: Using open educational resources to promote quality in undergraduate teaching (Unpublished master’s thesis). University of Toronto, ON, Canada. Kizilcec, R., Piece, C. & Schneider, E. (2013). Deconstructing disengagement: Analyzing learner subpopulations in massive open online courses. The 3rd Proceedings of the Learning Analytics& Knowledge Conference. Leuven, Belgium. Maguire, L. (2005). Literature review-faculty participation in online distance education: Barriers and motivators. Online Journal of Distance Learning Administration, 8(1), 1-15. Power, M. (2009). A designer’s log: Case studies in instructional design. Athabasca University Press. Restoule, J.P. (2013). Massive open online courses and the future of adult education. In C. Kawalilak & J. Groen (Eds.) Proceedings from Canadian Association for the Study of Adult Education 2013, 514-520. Robinson, D., & Ash, P. (2014). Developing a pedagogical model for a massive open online course (MOOC). In Proceedings of the Frontiers in Mathematics and Science Education Research Conference. (pp. 131-135). Famagusta, North Cyprus. Severance, C. (2013). MOOCs: An Insider’s View. Computer, 46(10), 93–96. Wiggins, G.P., & McTighe, J. (2005). Understanding by design. ASCD.